NO ACCIDENTS! LEATHER! SUNROOF! SHARP! NO ACCIDENTS!! 2014 Chevrolet Cruze LTZ. 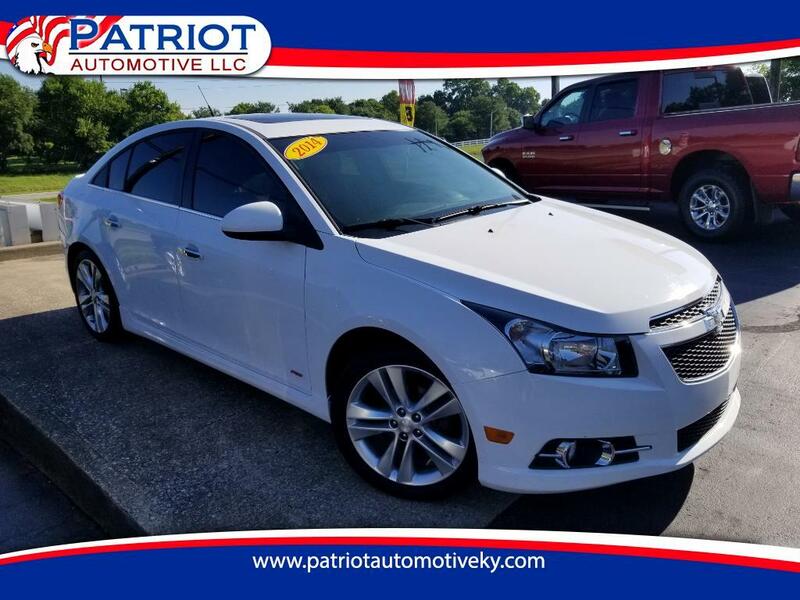 This Cruze Has Leather Seats, Power Seats, Heated Seats, Power Windows, Power Locks, & Power Mirrors. It Is Equipped With A Pioneer AM/FM/CD Player, Pandora, Satellite Radio, Aug Audio Jacks, Hands Free Wireless, Bluetooth, Keyless Entry, Back Up Camera, Tinted Windows, & Rear Defrost. THIS LTZ CRUZE DRIVES, RIDES, & RUNS GREAT!! PRICED AT ONLY $11976!!! *All online pricing is for a limited period of time and is subject to change at any time. Prices do not include taxes, title, and processing fees.